If you’ve got a brand name, flaunt it, and even change presentation (within reason) to keep visual appeal fresh … or not. 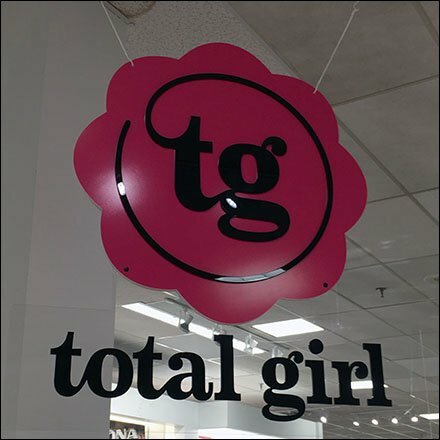 This Total Girl Department Branding Ceiling Sign presented as comparison to an earlier similar post with you as the judge as to what matters most. The brand continuity or change in presentation style. This seen at JCPenney.